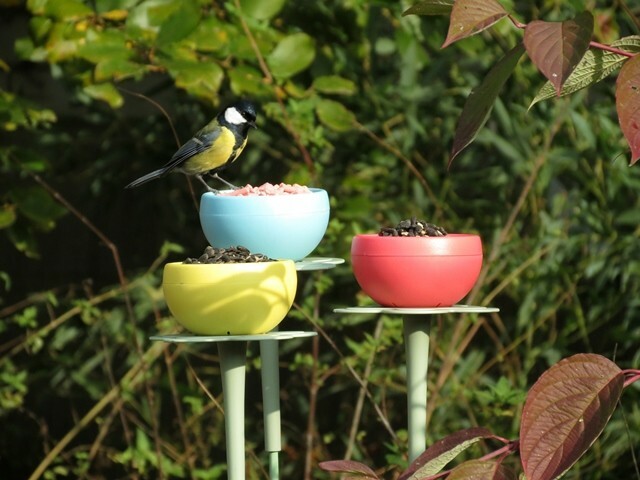 A pretty set of flowerbed feeders, suitable for seed, suet pellets or live food. 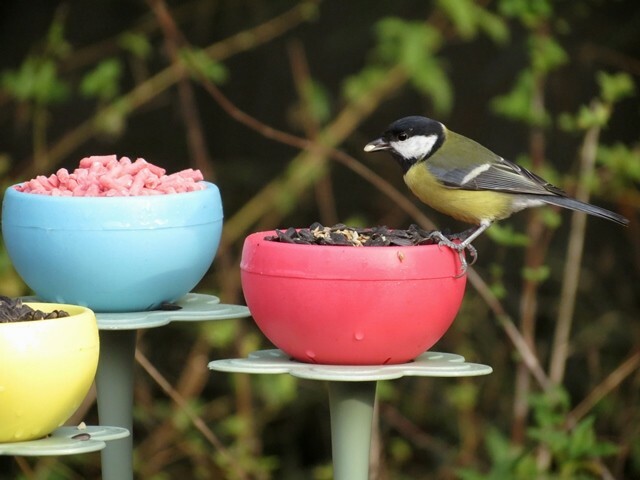 Suitable for seed, suet pellets and live foods such as mealworms. 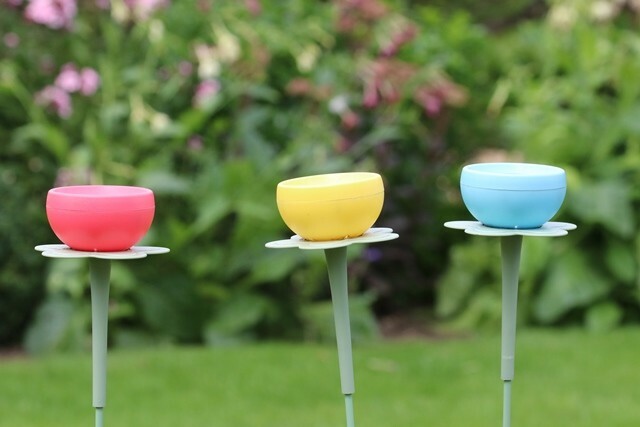 These pretty Flowerbed Feeders have integrated drainage holes and are made from strong, recyclable and easy to clean materials. Pack of three - blue, red & yellow. Not what you are looking for? 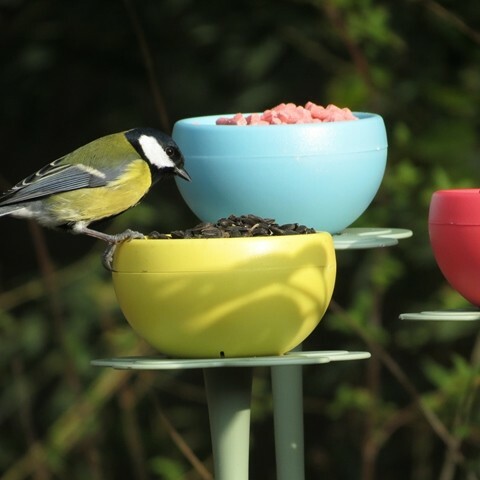 View our range of Bird Feeders. Pack of three - blue, red & yellow. Look Good. 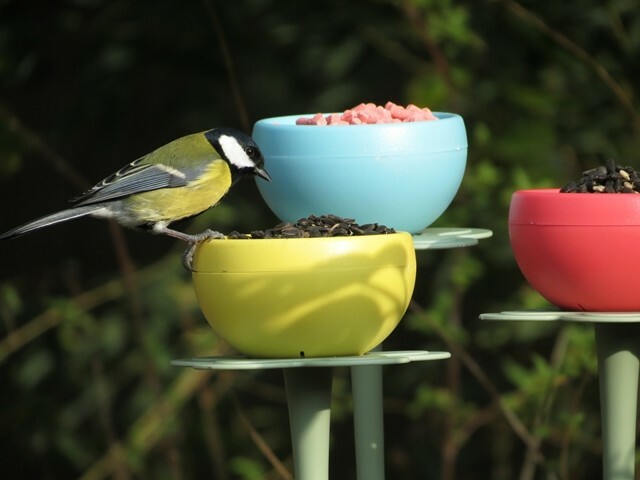 Emptied every day by a selection of birds.